When you purchase a condominium, townhouse or single-family home in a planned development, you must join that community's homeowners association (HOA) and pay monthly or annual HOA fees for the upkeep of common areas, shared structures and shared exteriors. About one in five U.S. homes belong to a homeowners association, according to a data analysis by applied microeconomist Wyatt Clarke, and HOAs are especially prevalent in homes built in this century. As HOAs are common, you're likely to come across them in your home search, though it depends on where you live. About six in 10 Nevada homes are in an HOA, while just two in 100 are in Georgia, according to Clarke. Other states with a high percentage (at least 40%) of homes in HOAs include Arizona (56%), Colorado (52%), Idaho (49%), South Carolina (48%), Florida (44%), North Carolina (43%), Delaware (41%) and Missouri (41%). 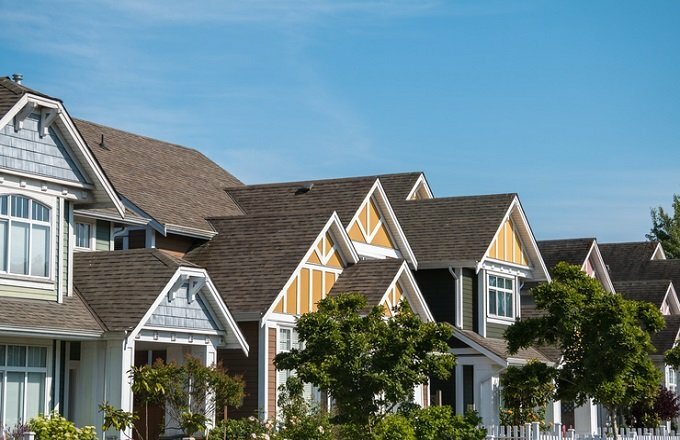 If you are considering purchasing a property that is governed by an HOA, you should thoroughly understand how these associations work before you buy. HOAs can affect not just your finances, but also your quality of life. First, let's take a look at what HOAs are all about. When you buy a home in a managed community, you are actually buying a bundle of legal obligations and rights in addition to physical living space, or so says John Manning, managing broker at RE/MAX on Market in Seattle. "The associated HOA dues reflect the management style of the homeowners association. For example, some associations prefer a large cash reserve on hand to meet maintenance, legal or management obligations that arise. Others have lower fees and rely on special assessments – funds levied outside of HOA fees – for repairs and maintenance." The national average HOA fee is around $120, according to Clarke, who used Zillow and Redfin records. But it is $331, according to a Trulia study by data scientist Mark Uh, who used American Community Survey records. In Trulia's study national averages range from a low of $218 in Warren, Mich., to a high of $571 in New York City. These numbers give you some idea of what you can expect to pay (both studies were published in 2017). You can find the HOA for a particular property in the listing information. Most multiple listing services (MLS) include HOA fees, and the MLS feeds that listing info to REMAX.com, Zillow.com, Realtor.com and other listing sites, according to Nate Martinez, a real estate agent at RE/MAX Professionals in Glendale, Ariz. "Fees are determined by the amenities delivered to the homeowner," says Martinez. For example, if a development is a guard-gated community, and has a clubhouse and golf course, the fees are likely to be higher than in a subdivision where an HOA covers only the common area. The more upscale the building or community and the more amenities it has, the higher the HOA fees are likely to be. In addition, Trulia found that they are higher in older buildings, complexes with more units and homes with more bedrooms. On top of monthly fees, if a major expense such as a new roof or elevator comes up, and there aren't enough funds in the HOA's reserves to pay for it, the association may charge each homeowner a special assessment that can run into the thousands of dollars. Because multiple parties live in the same building or complex, all residents of condominiums and townhomes are responsible for maintaining the common areas, such as landscaping, elevators, swimming pools, clubhouses, parking garages, fitness rooms, sidewalks, security equipment and personnel, roofing, and building exteriors. Many of these types of common areas, such as pools and tennis courts, also exist in subdivisions of single family homes. Regardless of whether the HOA governs a building, such as a condo or townhouse structure, or a neighborhood of single-family houses, HOA fees help maintain the quality of life for the community's residents and protect property values for all owners. In some cases they can also ease individual homeowners' maintenance burdens. For example, when you live in a condo, you don't have to worry about hiring someone to repaint the exterior, as you would in a single-family house. In addition to maintaining common areas, HOAs also set out certain rules that all residents must follow called covenants, conditions and restrictions (CC&Rs). In a common building, rules may include what color front door you can have; whether you are allowed to dry your laundry outside on a line; whether you can have a satellite dish; the size, number and type of pets permitted; and so on. In many ways these rules are similar to the kinds of rules apartment dwellers must follow. In a subdivision with individual homes, regulations may include what color you can paint your home (and front door), how tall your grass can grow, whether you can plant or remove trees, which types of vehicles you can park on the street or in your driveway (no RVs, for example), how high fences can be and which types of coverings you can use on street-facing windows. If you want to do anything that deviates from the rules, such as paint your house chocolate brown instead of mocha brown, you will have to convince the HOA to grant you a variance, which is probably unlikely. No matter where you live, you are likely to be subject to city ordinances and restrictions related to the use of your property. HOAs add another layer of restrictions, and because their members are more likely to know what you're up to, the HOA is perhaps more likely to enforce the rules than a city government is. While there are laws governing the behavior of HOAs, these associations can still have a powerful impact on your rights as a homeowner. Before buying a property in a community that has an HOA, you should do the following nine things. You may be able to find an HOA's CC&Rs online, along with information about what happens if you violate a rule, which can include being fined, sued or having the HOA place a lien on your home. Ask the HOA if its online information is current before you rely on it. If you cannot find this information online, ask your real estate agent to acquire these documents for you or contact the HOA yourself. Pay particular attention to whether the HOA can foreclose on your property for nonpayment of HOA dues or nonpayment of fines resulting from CC&R violations. Also learn about the process for changing or adding rules and whether HOA meetings are held at a time when you will be able to attend. If the rules are too restrictive for your taste, consider buying elsewhere. Buying into an existing problem can be a headache, so find out whether you would have to make changes to the home to comply with HOA rules. Does it need to be repainted? Is the landscaping dead or overgrown? Has the owner made exterior improvements without getting HOA approval? You may be able to force the owner to fix the problems as part of the sale agreement or provide cash at closing so you can remedy the issues as soon as you take possession. Also be aware that HOAs vary considerably in terms of who fixes which problems. "Each community will have its own CC&Rs," says Manning. "A gated community may have gate maintenance as the only agreement between homeowners, or there may be an HOA in place with a legal authority to manage much more. Any authority typically would be legally granted in writing as part of the creation of a homeowners' agreement." If environmentally friendly living is important to you, be aware that some HOAs may dictate that you use fertilizers, pesticides, sprinkler systems and whatever else it takes to keep your lawn picture-perfect. They may not allow xeriscaping (an environmentally friendly form of landscaping in arid climates) and may limit the size of gardens, ban compost piles and prevent you from installing solar panels. So make sure you check the fine print before you buy. Are you the type of person who hates being told what to do? If so, living in a community with an HOA may be a very frustrating experience for you. One of the major benefits of homeownership is the ability to customize and alter the property to suit your needs, but HOA rules can really interfere with this. However, if you're the type of person who likes rules and uniformity, driving down a picture-perfect street to get to your home every day might be your dream scenario. How often do increases occur, and by how much have they historically been raised? Martinez says that HOA fee increases usually don't occur more often than annually and go up when the costs of service go up. In his experience HOA increases are mapped three to five years out. He suggests checking the HOA's bylaws, as each HOA will have different guidelines for fee increases. How large is the HOA's reserve fund? According to Manning, the size of a reserve fund will depend on the building's age, condition and amenities (such as a heated swimming pool). "In evaluating a condominium purchase for our clients, we have our clients discuss the financial statements with a CPA expert in analyzing condominium financials," he says. Can you get a record of special assessments that have been made in the past? Also ask if any special assessments are planned for the near future. Note that economies of scale can mean that special assessments are smaller in HOAs covering large communities and higher in smaller HOAs. What do the monthly dues cover? Will you still have to pay for garbage pickup? Is cable included? Compare the dues for the complex or neighborhood you are considering to the average dues in the area. "If you want to know about HOA ranges for your region, the best resource would be through a professional real estate broker who understands the strategy of a particular homeowners' association," says Manning. "In general, what constitutes 'reasonable' is determined by the homeowners themselves through majority vote as administered by the elected HOA board." HOA dues can change at any time for any reason, adds Manning. "A critical part of an analysis of HOA dues is the reasoning behind the fees. Even if you cataloged all HOA dues and attempted to create benchmarks, it would be difficult, as each HOA fund is levied on a different set of criteria, such as repairs, litigation, delinquency and insurance costs. It is not an 'apples to apples' type comparison." Keep in mind that you will have to pay for any recreational facilities in the HOA whether you use them or not. Find out the hours for amenities such as pools and tennis courts. Will you be around during those hours, or will you be paying for facilities you'll never be able to use? Be aware that the HOA may have rules about how many guests can use common facilities. If guest restrictions are severe, forget about that housewarming pool party you envisioned. In a new development, you might wonder if the HOA fees could be attractively underpriced to get homeowners to buy in, then increase significantly later on to cover the HOA's expenses. Developers can set fees by turning to the state real estate department's HOA cost manual or by hiring an expert to prepare a budget based on standard prices for the expenses the HOA will cover. With any HOA, new or not, hiring a CPA to review its budget, as Manning suggests, is a good way to determine whether the monthly dues are adequate. And with new construction, it's actually possible for HOA fees to go down slightly over time as more homes get added to the development and there are more homeowners to share HOA costs. Another possibility is that the developer will subsidize the higher dues until the entire development is complete and the dues can be more evenly spread among homeowners. It's also worth knowing that not every property in an association will pay the same dues. Dues can be assessed at different rates depending on factors such as square footage and lot size, which affect how much upkeep a property will require from the HOA. What current and past conflicts has the association had to resolve? What is the process for resolving any conflicts? Has the HOA sued anyone? What was the outcome of that incident? Be alert for potential drama. Power trips and petty politics can be an issue in some HOAs. Talk to some of the building's current owners, if possible – preferably ones who are not on the HOA board and have lived in the building for several years. Talk to the HOA president and get a sense of whether you want this person making decisions about what you can do with your property. Some HOAs are professionally managed. If a private company manages the HOA, investigate it before you buy. It is common, however, for associations to be managed by community residents, who hold their positions as volunteers and are elected by association members. In either case, even if you like the current HOA board or management company, it can change after you move in, and you may end up getting something totally different than what you expected. You could also find that you want to have a say in the HOA's decisions, which means giving up some of your free time and possibly taking on new responsibilities. Not all HOAs are over-managed. The opposite problem may be an HOA where no one really cares and where no one is interested in maintaining the building, making repairs, hearing resident grievances or being on the board. Residents may simply take turns serving as HOA president or randomly appoint someone, so be prepared to serve in this role whether you want to or not if that is the case with your community's HOA. This would also be a good time to check into any restrictions preventing you from renting out your property or making it difficult to do so. What's considered customary depends on the jurisdiction. "In the Seattle area, it is common to find prohibitions on short-term [vacation] rentals. HOAs have an interest in limiting the percentage of non-owner-occupied units, as mortgage lenders may be reluctant to lend on buildings that have high rental occupancy," says Manning. Catastrophe insurance is particularly important if you're considering a condo or townhouse purchase in an area prone to major natural disasters, such as floods, earthquakes, blizzards, wildfires, tornadoes or hurricanes. Pretty much every place is subject to at least one of these risks. "In the Pacific Northwest, earthquake insurance is very common, though not required," says Manning. "This is an example of where a forward-thinking HOA can make a condo building more attractive. Earthquake and other types of hazard insurance will be reflected in the homeowner's HOA dues." Given the big hurricanes we've seen in recent years, what kind of insurance should an HOA have against these types of disasters? In Florida a condo HOA must insure all common property, which includes every part of the building up to a unit's unfinished drywall, and the homeowner is responsible for insuring all personal property within his or her unit, including appliances, flooring, cabinetry, window treatments and the like. Check your state's law to see exactly what associations are required to provide and make sure the HOA you're considering meets those requirements. When you are required to pay HOA fees, you have to buy a less expensive property to end up with the same total monthly housing cost and be approved for a mortgage. You might be able to buy a $100,000 condo with $500 a month in HOA fees, or you could get a $150,000 condo with $250 in HOA fees. One is not necessarily better than the other, but you need to look at what you're getting for your money. What do the HOA fees pay for? What will your quality of life be like in each community? And if you're choosing between a $100,000 home with an HOA fee of $500 a month versus a $100,000 home without an HOA fee, what will you be able to do with that extra $500 a month? In the latter case, how much of it will you spend on things that the HOA would have covered? How much will you have left over? What kind of investment return are you likely to earn on that money? You might also want to know what the research says about how HOAs affect home values. Clarke found that throughout the United States, homes in HOAs on average sell for about 4% more, and the premium is highest when the HOA is new. It goes down as the HOA ages. It also varies by region. HOAs can be your best friend when they prevent your neighbor from painting her house neon pink and your worst enemy when they expect you to perform expensive home maintenance that you don't think is necessary or impose rules that you find too restrictive. Before you purchase a property subject to HOA rules and fees, make sure you know exactly what you're getting into. This article was written by Amy Fontinelle from Investopedia Stock Analysis and was legally licensed through the NewsCred publisher network. Please direct all licensing questions to legal@newscred.com.